In late October I returned to Korea after an amazing month in Europe, ready to spend the next few months figuring out what to do next. My job ended and I was told if I got a spousal visa I might be eligible to teach as an adjunct at the university. My first week back I went to immigration only to discover that without my marriage license I couldn’t obtain a spousal visa. Who travels the world with their marriage license? Certainly not me! I was married 31 years ago in Jefferson, Maine. I called the town hall assuming they could simply send me a copy. No such luck! After several phone calls I found a clearinghouse in Texas that sends vital records all over the world, for a large fee. Ten days later it arrived. I returned to immigration and secured my visa, but by then, I had decided that 2 months in Korea, without work could possibly drive me insane. Time for a new plan! Over tea with a friend, I lamented my situation and she suggested that I use this precious time to travel. She suggested Bali–Ubud to be exact. I had never even heard of Ubud. It turns out, Elizabeth Gilbert found “love” in Ubud in her book “Eat, Pray, Love”. The next thing I knew I was on Kayak buying a plane ticket. I got on line and searched Ubud for a place to stay. My only requirements were centrally located, safe, clean and cheap. Sama’s Cottages fit the bill. With little information and no time to waste I booked it and, once again, I packed my carry-on bag. Was it adventurous or completely insane? After all, I had traveled in Spain and Italy just the month before, mostly by myself, but three weeks in a place I had never heard of? I didn’t even have a Lonely Planet guidebook to Bali. I arrived in Ubud a week ago. In the taxi on the way to my cottage, I wondered why in the world I had done this, but here I am. I got out of the cab and found myself in, what looked like, paradise. It was a small complex of 10 cottages and I was escorted to mine. The nice gentleman handed me a small sheet of paper with breakfast choices and asked what time I wanted my breakfast delivered. Was he kidding? I really hadn’t done my research, breakfast delivered to me in the morning? I went to sleep in my cozy, hot, cottage with a ceiling fan, a floor fan and a bed covered with mosquito netting. Sure enough, the next morning breakfast arrived as promised and my time in Ubud began. Did I really need to know everything about this place in advance? Did I need my days planned out with all the necessary tourist attractions? Could I really relinquish all control and let my time in Ubud unfold before me? I have been here for almost a week and I have been to yoga classes, where I am likely the oldest person by possibly more than 30 years, and meditation classes that I thought would be relaxing and turned out to be vigorous cathartic breathing for an hour and a half. I’ve eaten amazing food in places that I simply walked by and went in, not having read the Trip Advisor reviews. I have had massages and facials, and even a reflexology massage that I had no idea what it would be and didn’t bother to ask in advance. I signed up for a cooking class and a one-day bike trip. Each day is a new adventure. All without a Lonely Planet guidebook! I suspect I’ll miss some of the sights that are recommended and that will be just fine. My days are mine. Filled with wonder and exploration. No pressure to do just be. I have pondered some of the lessons I’ve learned over the past 6 decades and what things have changed both subtlety and obviously. For one, I stopped trying to control the universe. That lesson came in my later decades, learning that I can’t control anything. Life happens and although I can take steps to plan and be proactive I know that things can change on a dime and I need to go with the flow. I’m learning that not knowing everything and sometimes not knowing anything can be a treat. I smile more and worry less. I’m not sure I need a guidebook to get me thru the adventures that lie ahead. 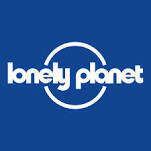 Have you ever wondered why they call it the LONELY planet guidebooks?